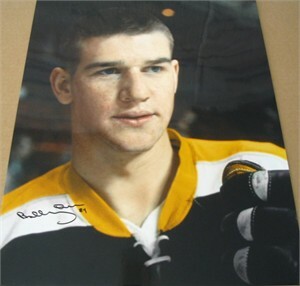 16x20 color poster size vintage portrait photo autographed by legendary Hall of Famer Bobby Orr. Authenticated by Great North Road (Orr's family business), with their certificate of authenticity. ONLY ONE AVAILABLE FOR SALE.